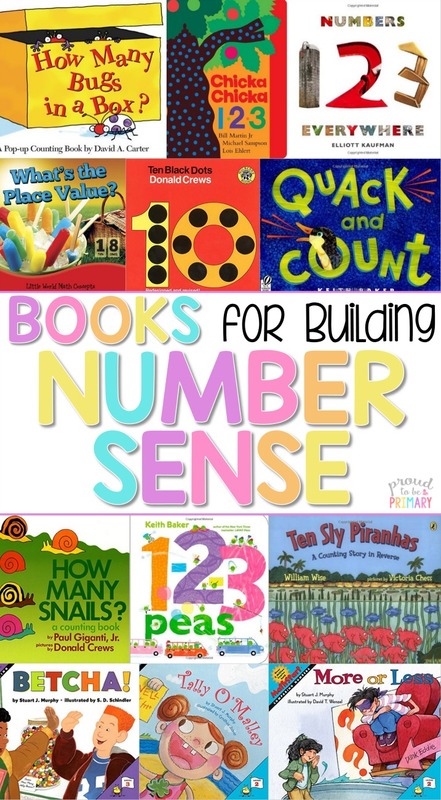 Why is Building Number Sense Important? Children need opportunities to learn and experience numbers. 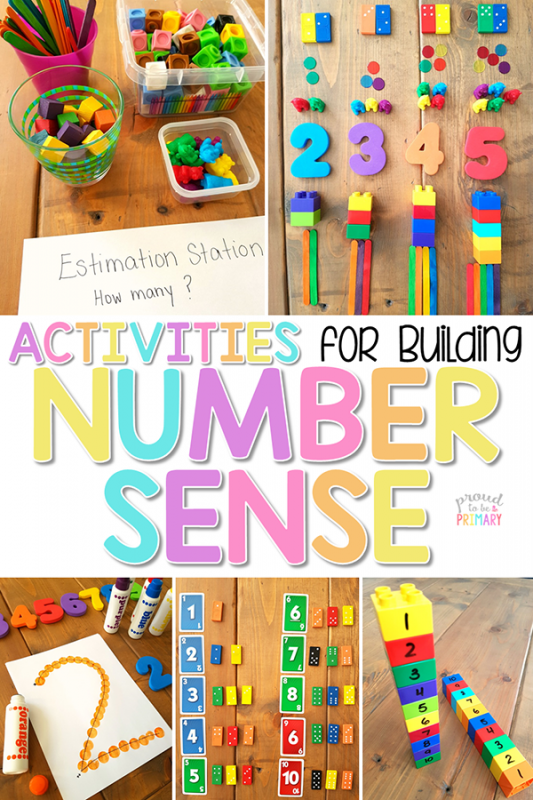 Learning to count, identify numbers, and understand quantity are a few of the important concepts. Repeated experiences build understanding and fluency with numbers. These experiences help expand understanding and learn new concepts. A strong number sense is vital for future understanding of more complex math topics. 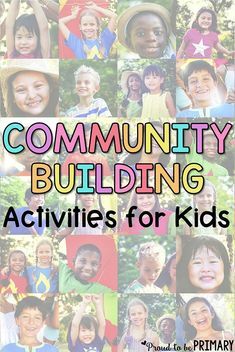 The activities below are ones that have been used successfully. Use them as they are described or adapt them for your own needs. Be flexible. Have conversations about numbers and encourage questions. When there is an opportunity to order, count, match, or describe with a child, go for it! They benefit from seeing numbers in natural, fluid ways. 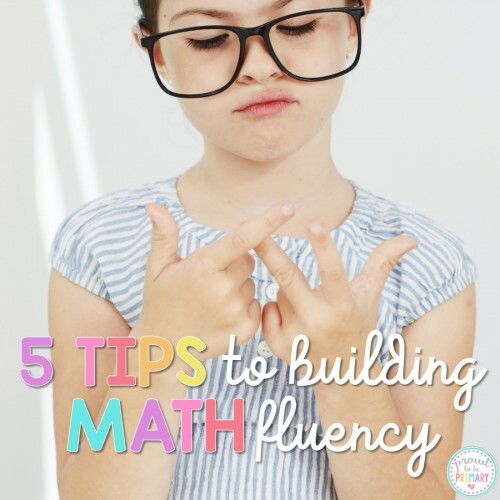 Make time for fun and engaging number activities daily and watch fluency develop. It is very important to count with children every day. Repeated oral counting helps them hear what numbers sound like and to learn their order. Using math manipulatives, like counting chips, can help build a connection to oral counting and counting objects. This one-to-one counting is an important skill that needs to be practiced often. Count out loud as a class starting at 1 and building to higher and higher numbers. 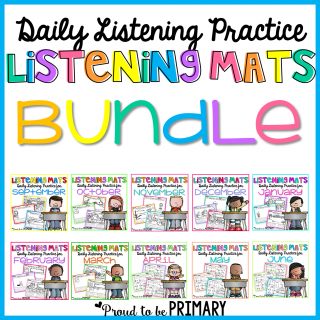 Sit with a partner or in a circle and take turns counting by 1’s. 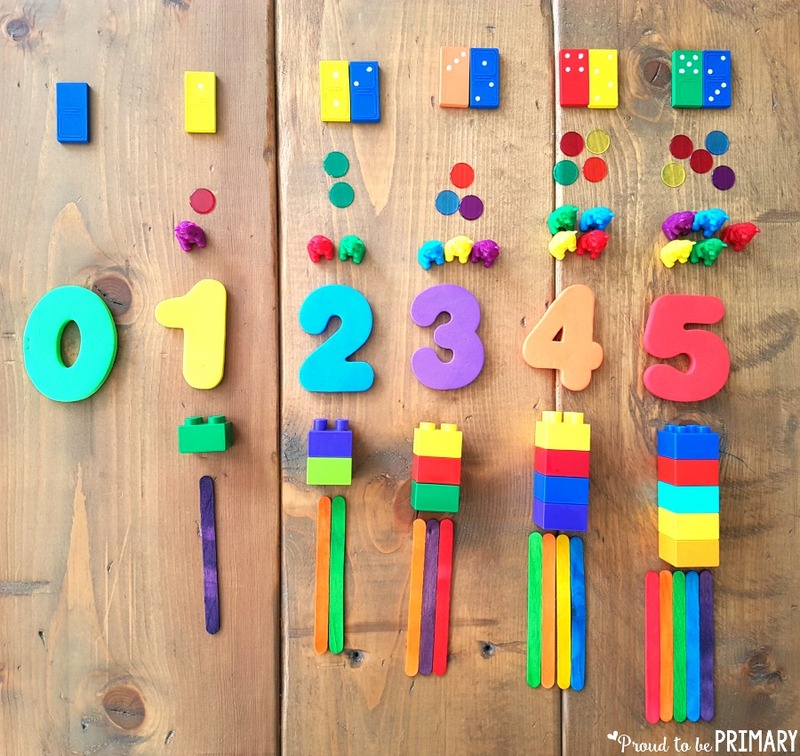 As counting develops, teach number patterns and counting by 2’s, 5’s, and 10’s. Use a number chart to visually see what numbers look like. Point to each number as it is said. 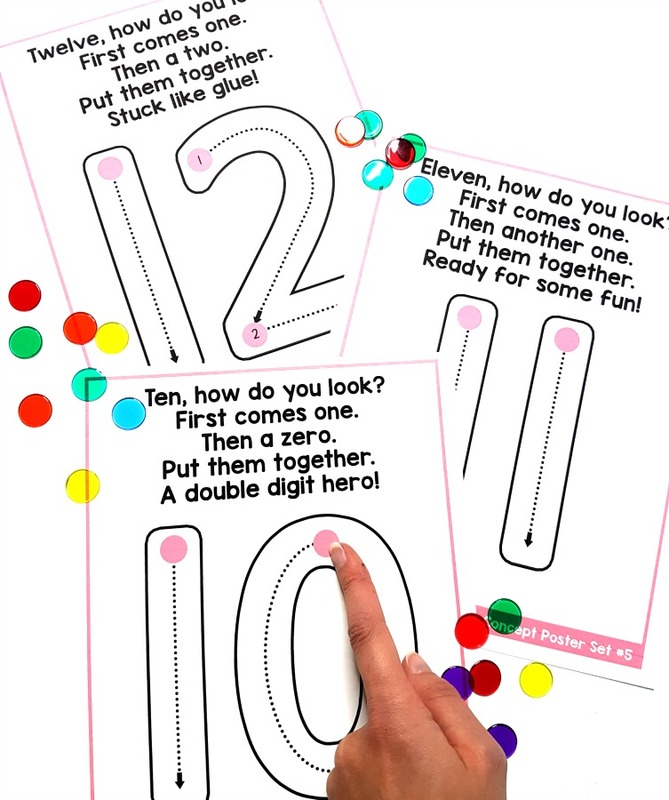 Encourage kids to practice one-to-one counting with small objects. Have small groups of objects set up in a center for them to count. 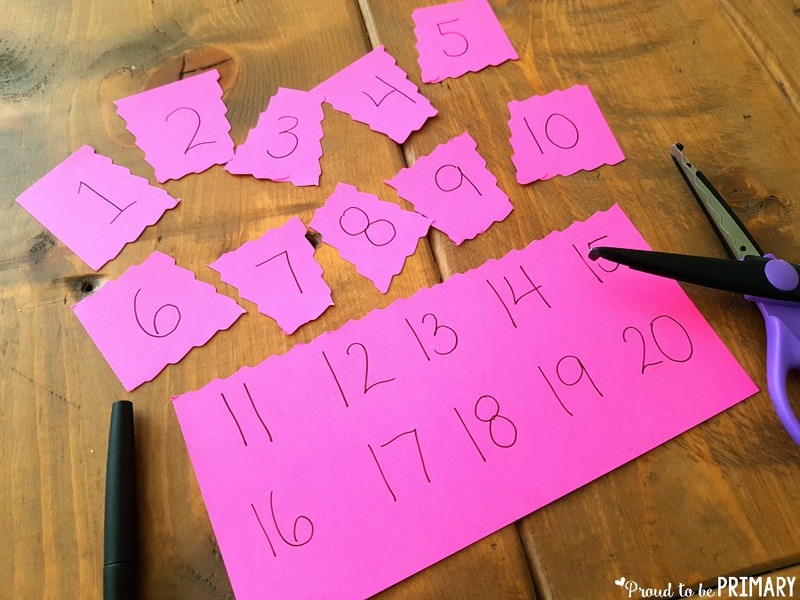 Provide number cards (like those seen below) for kids to represent with counting chips. 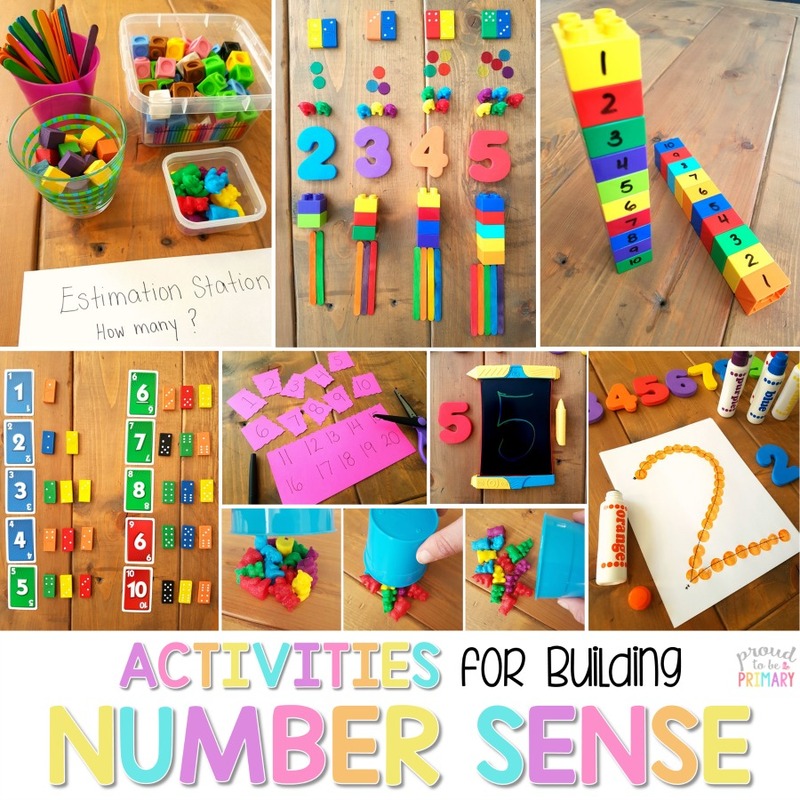 Provide materials for kids to count and connect with objects and numbers. This encourages children to see that numbers are more than words. 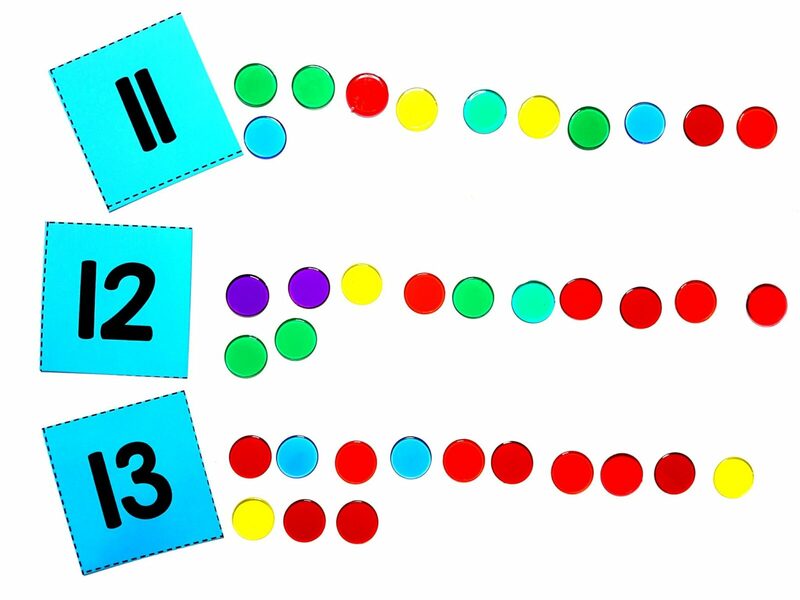 Teach children that numbers have many representations, such as dots, fingers, counters, numerals, objects, ten frames, etc. Match two different types of objects together, such as 5 counting bears and a domino that shows 5 dots. Use links to create a number chain for a number. Work up to showing quantity with more than 2 types of objects (as seen in the photo). Have many different items available for activities, such as dice, dominoes, number magnets, bears, counting chips, cubes, and number cards. 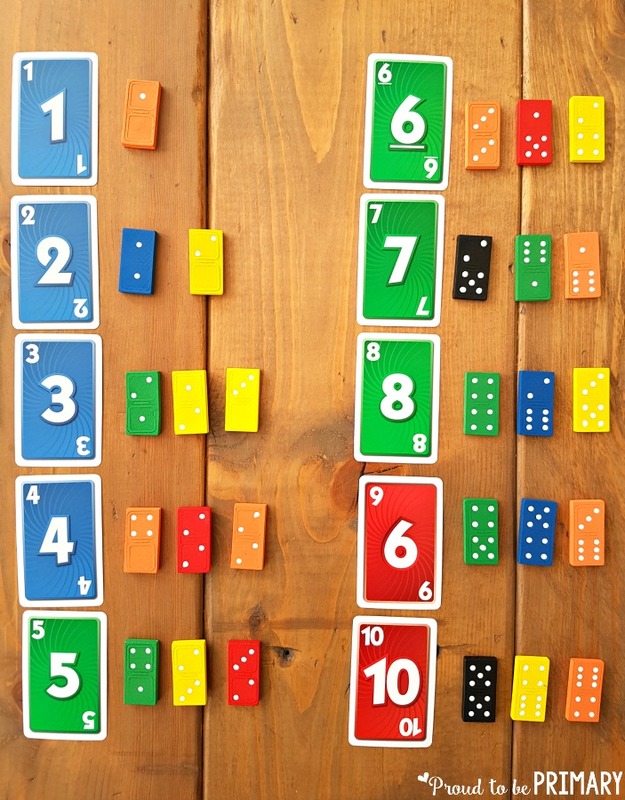 Match number cards from a card deck or game of Uno with dots on dominoes. Find every number combination on the dominoes. Complete number puzzles that have a different number representation on each piece. 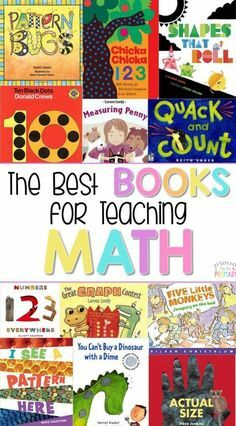 They help kids see that numbers can be modeled in many ways. 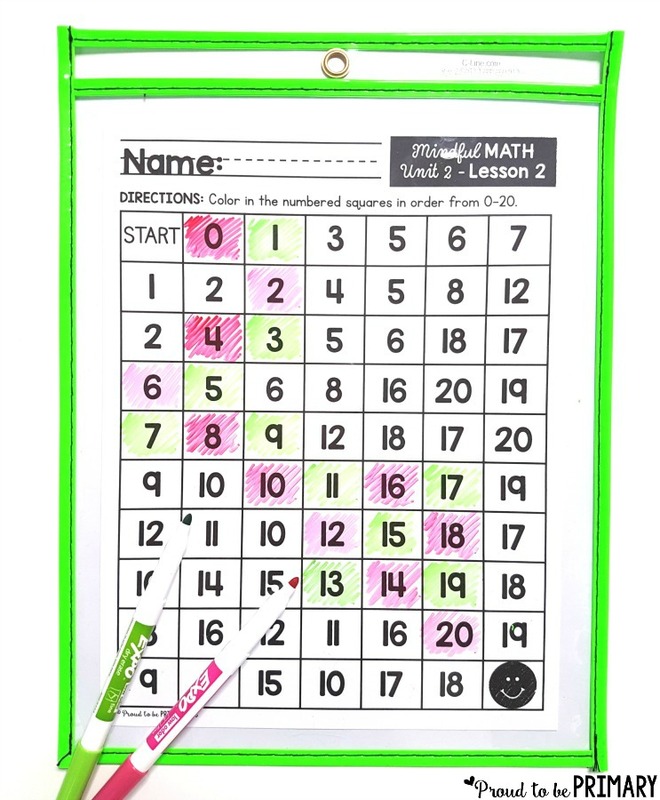 These number puzzles to 20 are available as a FREE download further on. 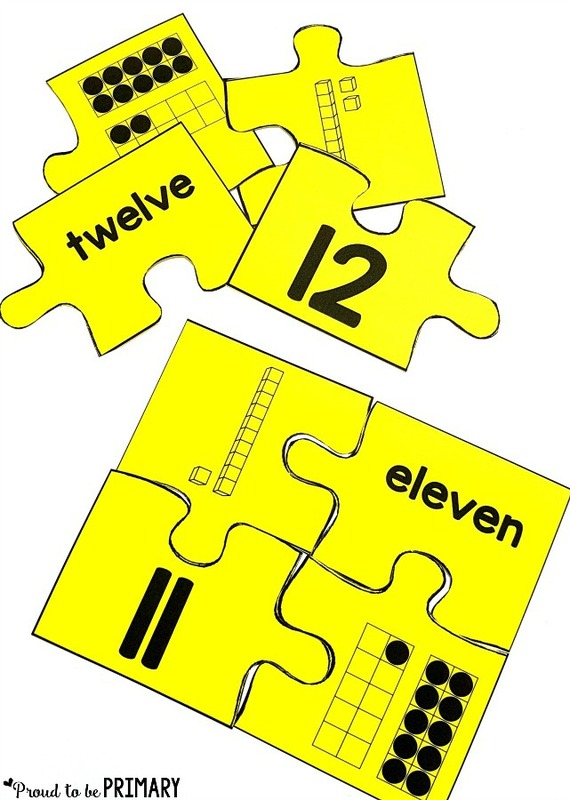 Encourage one-to-one counting with clip cards. 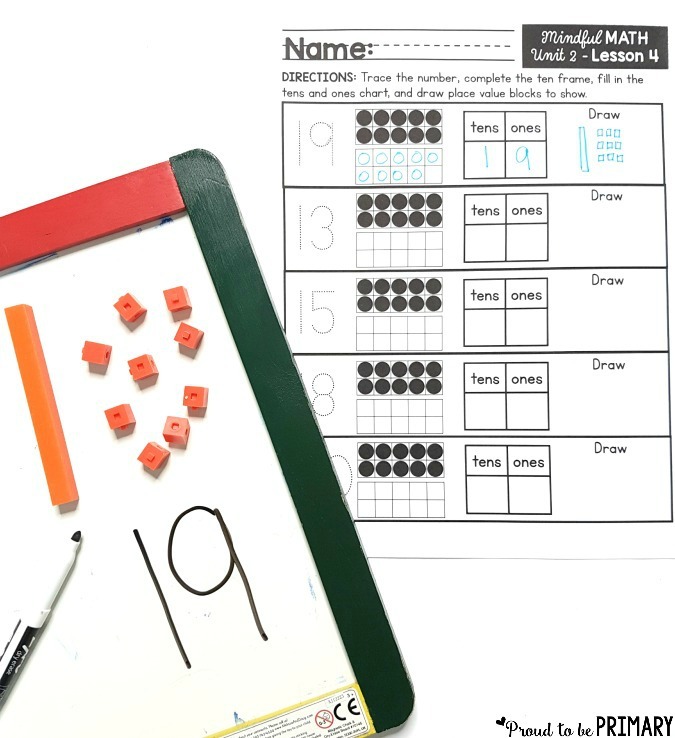 Kids count groups of objects and clip the numeral that matches to the correct quantity. 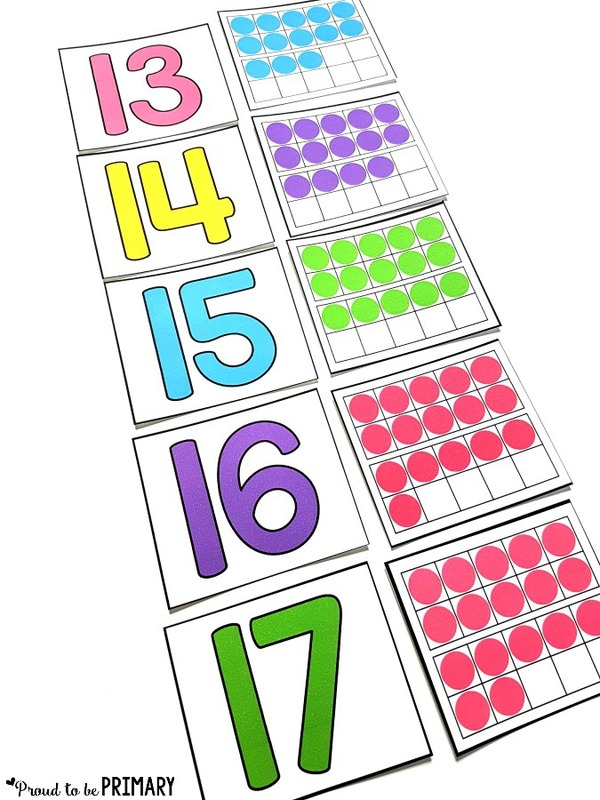 Ten frames are great for organizing numbers so that they can be easily counted. 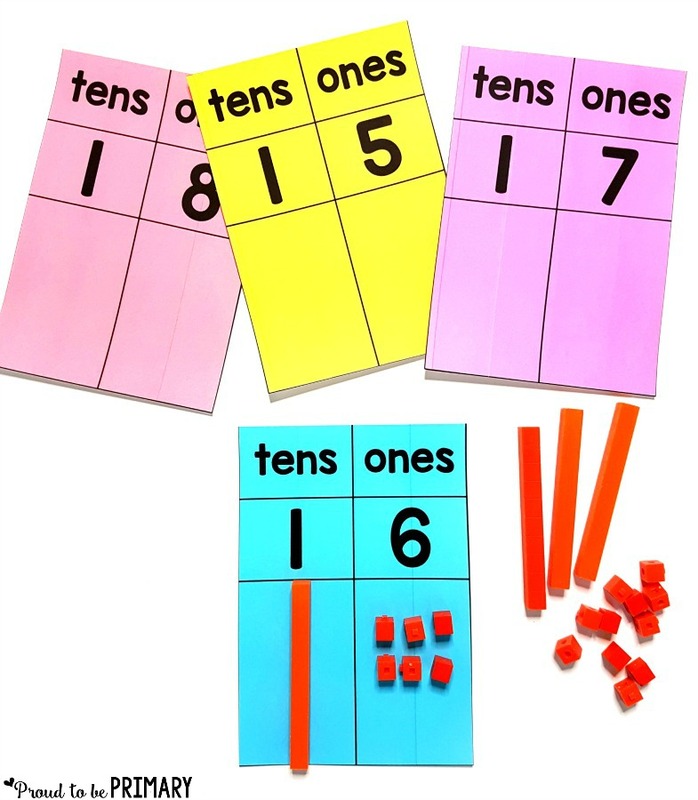 Matching numeral cards with ten frame representations is simple, yet effective at connecting quantity with numbers. When kids see numbers in many ways at once in a repeatedly their number sense develops. Pick a number of the day starting at 1 and dissect it during your math block. Learn about a specific number for each day that you have been at school. Teach and dissect that number during calendar time. Represent that number on a number line, count to that number, show that number with straws or cubes, etc. 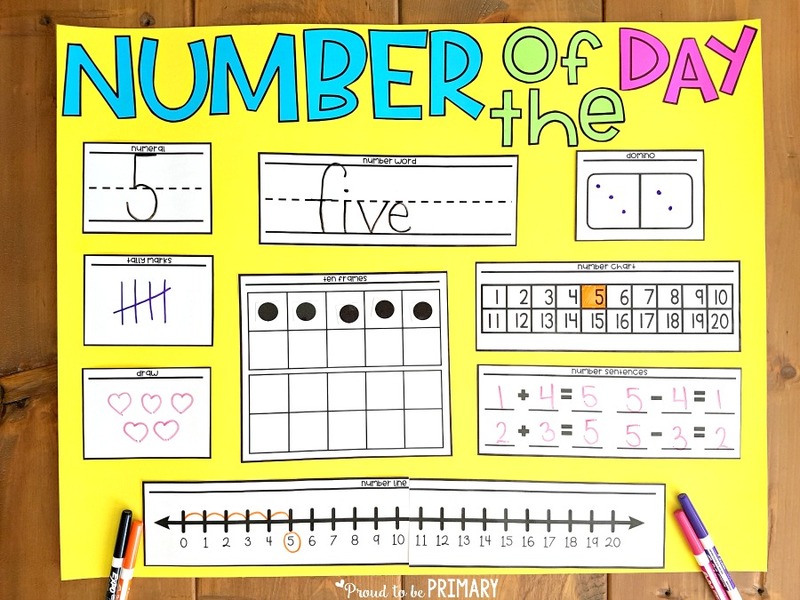 Use a number of the day poster or anchor chart to break numbers down. 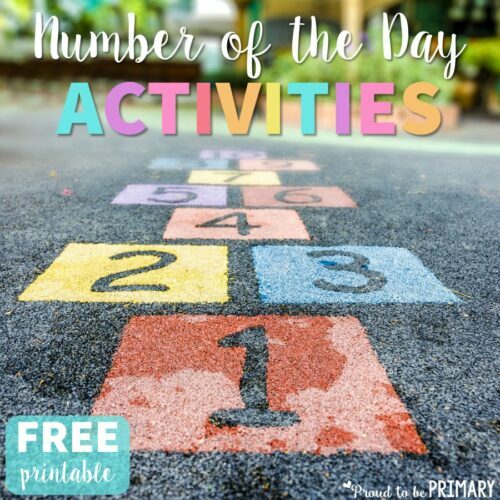 Create your own number of the day poster with the FREE poster templates. 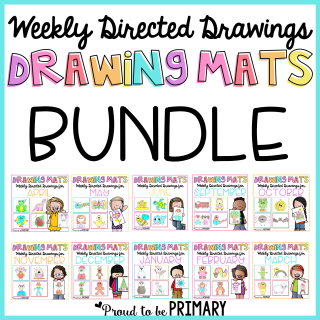 Encourage kids to participate and show their understanding on paper or mini white boards. Ask a question, such as “How do we show 5 with tally marks?” and allow them time to try on their own. 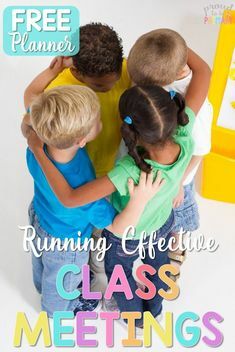 This makes a great fluency building warm-up to math lessons. Read more tips on starting a number of the day routine in your classroom. Provide opportunities for kids to put numbers in order. While they put numbers or objects with numbers on them into the correct order they are counting and building number sense. Provide opportunities with using a number line and number chart that puts numbers in order for us. Give sets of numbers to order correctly by finding them on the number line. 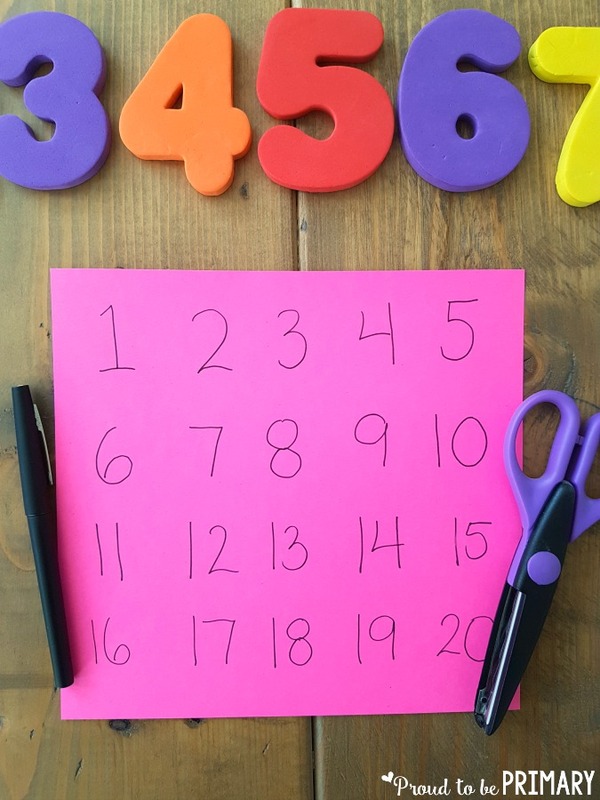 Cover different numbers on a number chart with sticky notes and ask kids for the missing numbers. 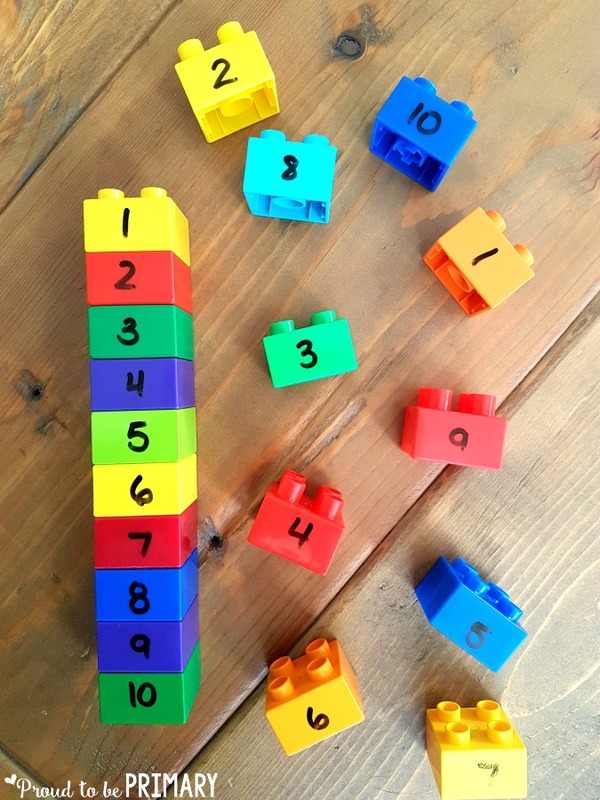 Build Lego stacks by putting the pieces together in an order written on the blocks. Work together with a partner to order number cards from 0 to 20. 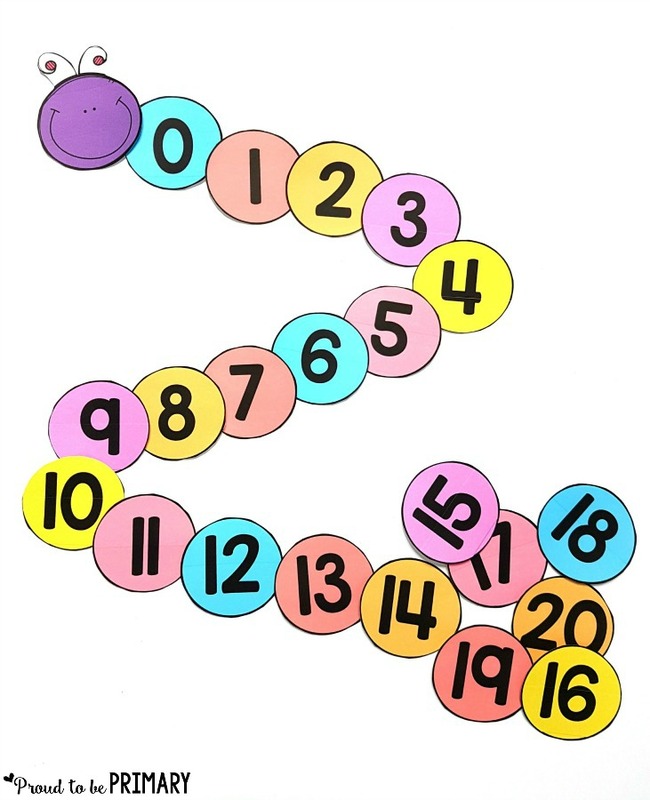 Create a number caterpillar like the one seen below. Number puzzles are a fun way to order numbers. Put the strips in the right order to reveal a picture. Puzzles are simple and easy to create. 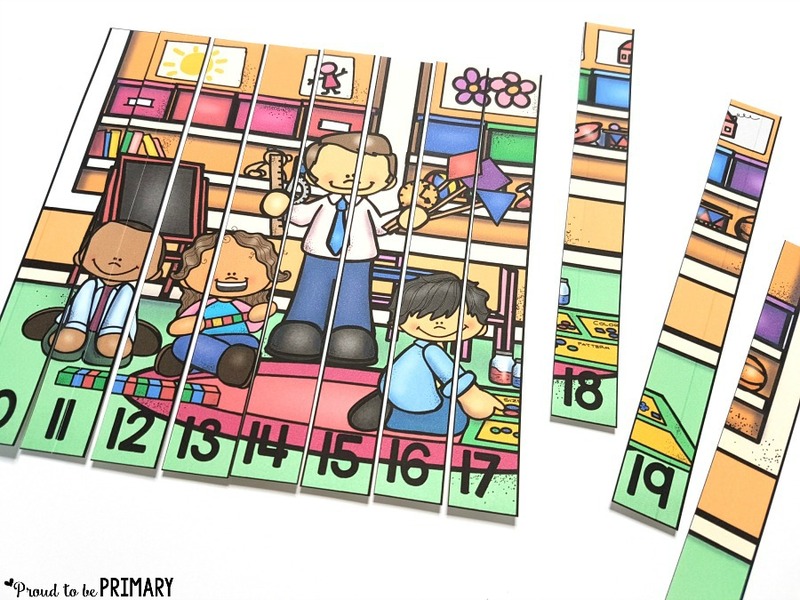 Take an old puzzle and write numbers on the back of each piece. Grab a piece of paper and write numbers in rows. Cut out pieces randomly and trade with a partner. Put the puzzle back together again for practice. Complete a number order maze starting at 0. 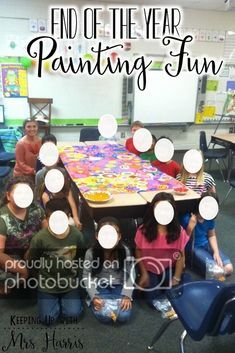 This activity can be reused when put into a pocket protector. Teaching kids about place value should begin with teaching them to see ten in many ways. Move on to illustrating numbers with base ten blocks. Practice making groups of ten things. Group straws, beans, counters, or any small objects. Teach counting by 10’s to count groups. Extend to teaching groups first and then singles. Make groups of ten to get to the 100th day. Show and examine a tens block and ones block. Discuss that a tens block has ten ones put together. Use base ten blocks to represent numbers. Do plenty of examples where kids must use and count blocks. Use a chart to help count the blocks. Represent the number of tens and ones on place value mats (seen below). Ask questions like “How many ones are there?” or “How many groups of ten?”. Make sure they understand what each number within the number stands for (i.e., the 1 in 18 is a ten and not a one). Represent a number in different ways: expanded form, standard form, word form, numeral, etc. 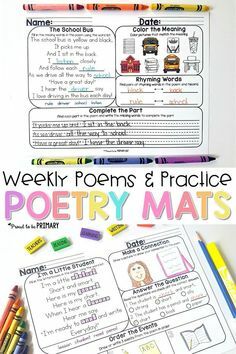 Worksheets like the one below can help build this connection. Kids are constantly surrounded by numbers in their environment. They quickly learn to recognize the individual numerals 0 to 9 through different experiences. Continue to encourage this familiarity by having numbers on the wall. 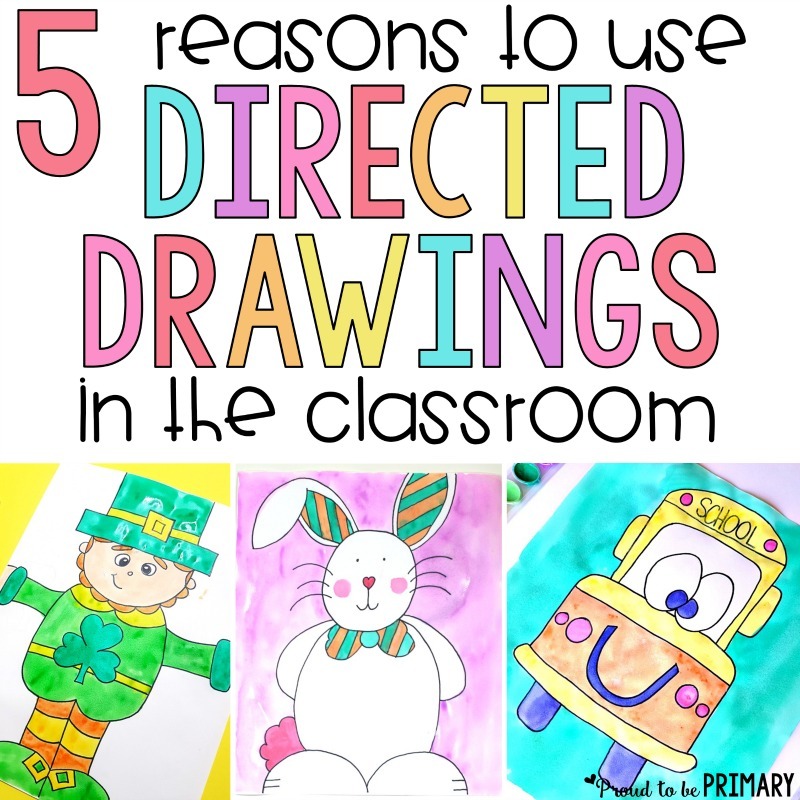 Posters, number lines, and calendars are helpful tools. Build numbers with playdough in a math center. 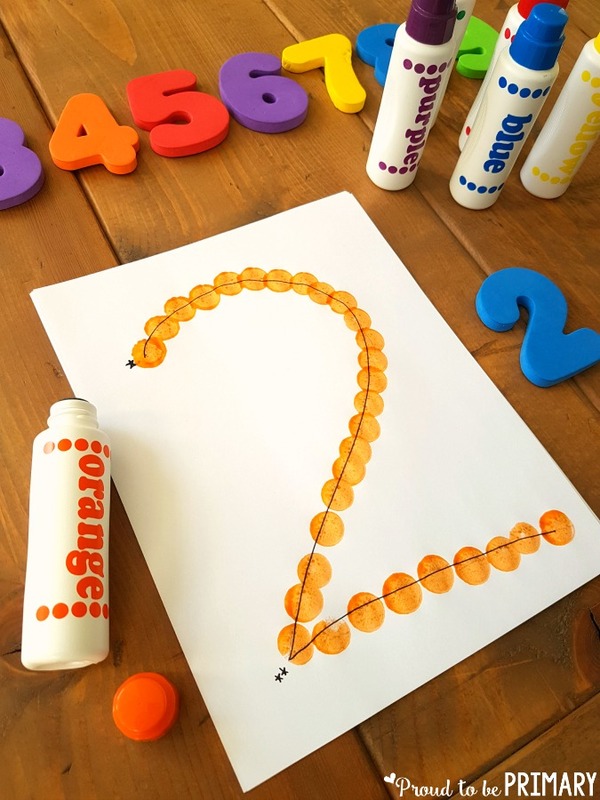 Even something simple as this playdough numbers activity here. 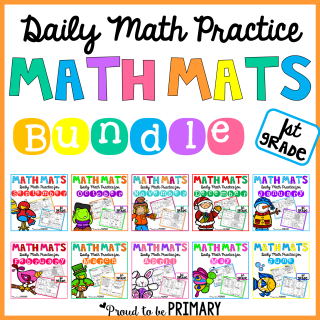 Print numbers from 0 to 9 daily in different ways – in booklets, on whiteboards during math lessons, etc. 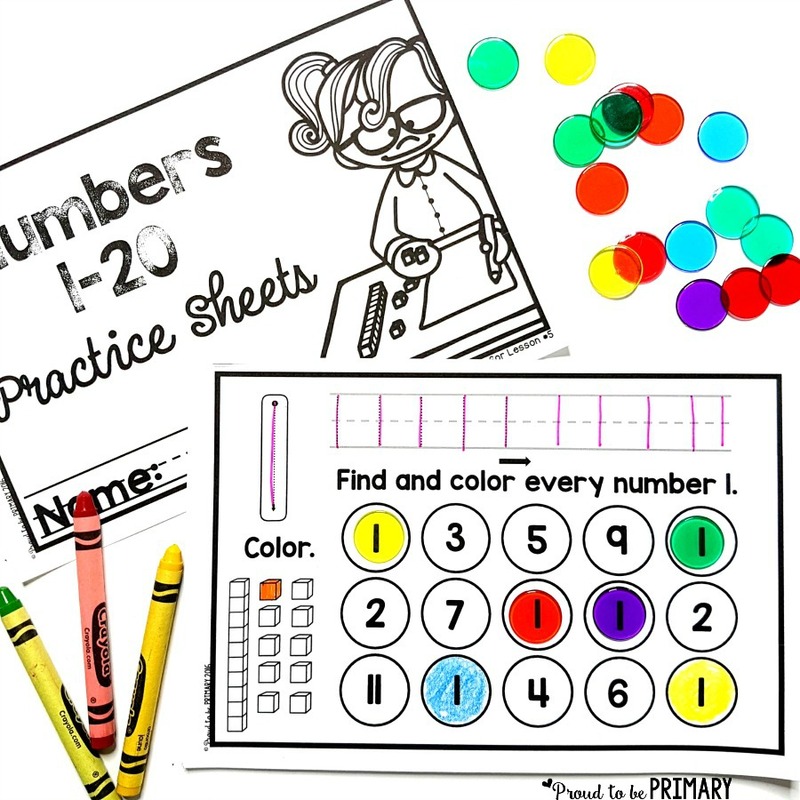 Draw numbers on paper and give students do-a-dot markers or bingo dabbers to dot numbers. Use a Boogie Board (seen below) or whiteboard to quickly practice numbers over and over. Trace numbers frequently and repeatedly to build coordination and correct form. The mini-book below encourages this, as well as locating numbers. Encourage the correct formation of numbers by teaching it explicitly. 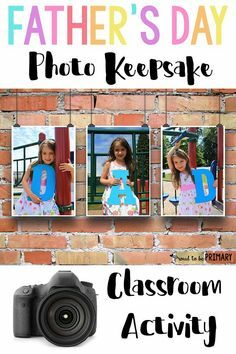 The posters (seen below) are helpful tools to use and post on the wall. 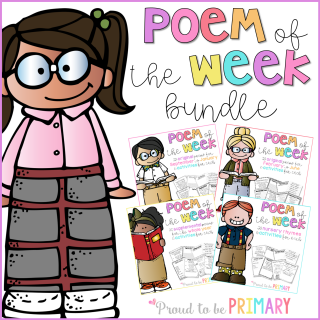 Catchy number poems help students visualize and remember number formation. Use your whole body to make actions or draw in the air. 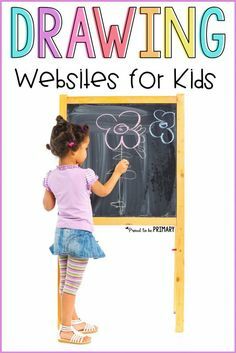 Teach kids how to read number words as they learn to read. 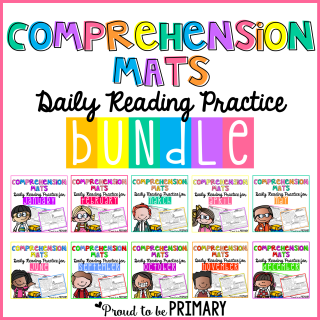 Teach each number word one at a time and how to spell them phonetically (when applicable). 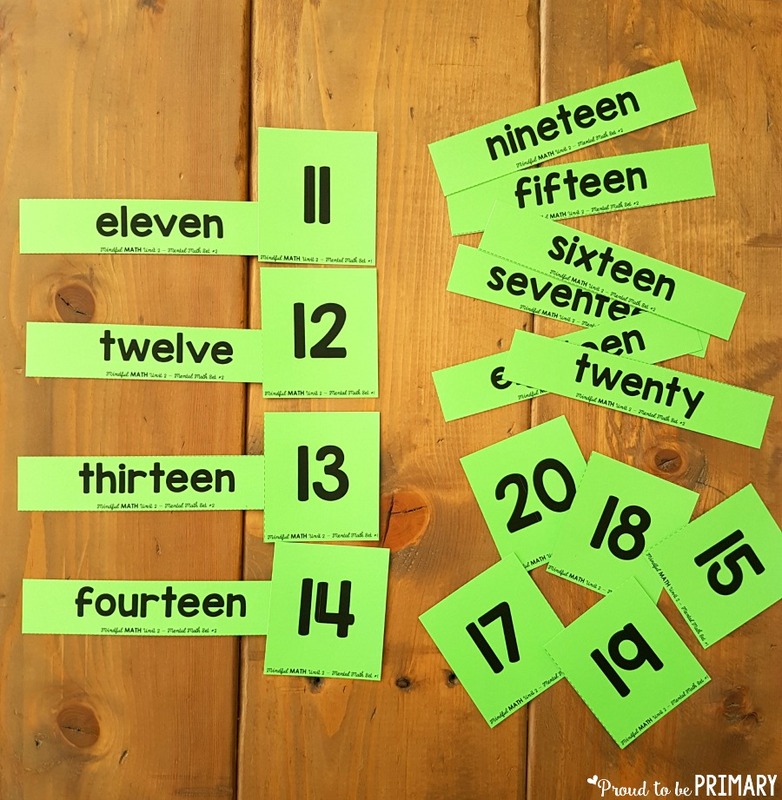 Have number posters with both the numeral and number word on it. 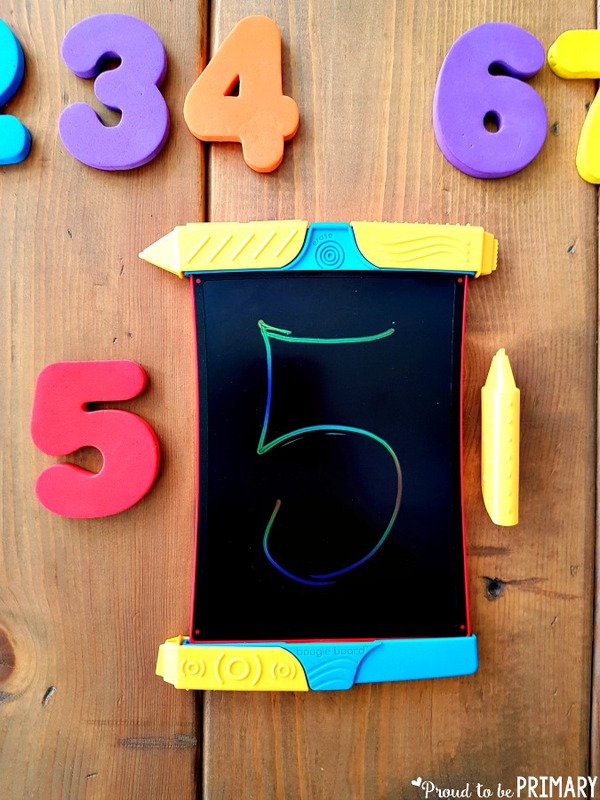 Include number words on spelling lists so that kids learn to read and spell number words. Use a number of the day routine to teach and focus on one word each day. 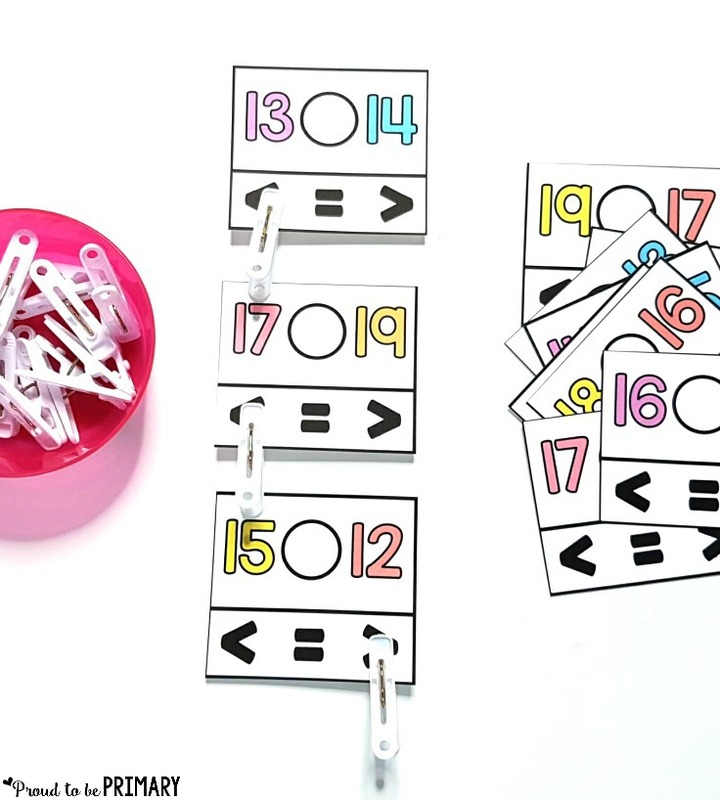 Match numbers word cards with numeral cards (seen below). Play memory with a partner with number word and numeral cards. Look for pairs (twelve and 12). 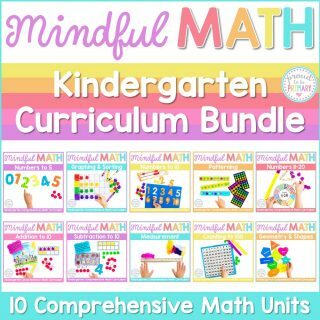 Build recognizing and speed with mental math flash cards cards. Flash cards to kids and they race to call out what they see (tally, numerals, number words, etc.). Teach the strategy of counting on and back from a number to prepare kids for addition and subtraction. 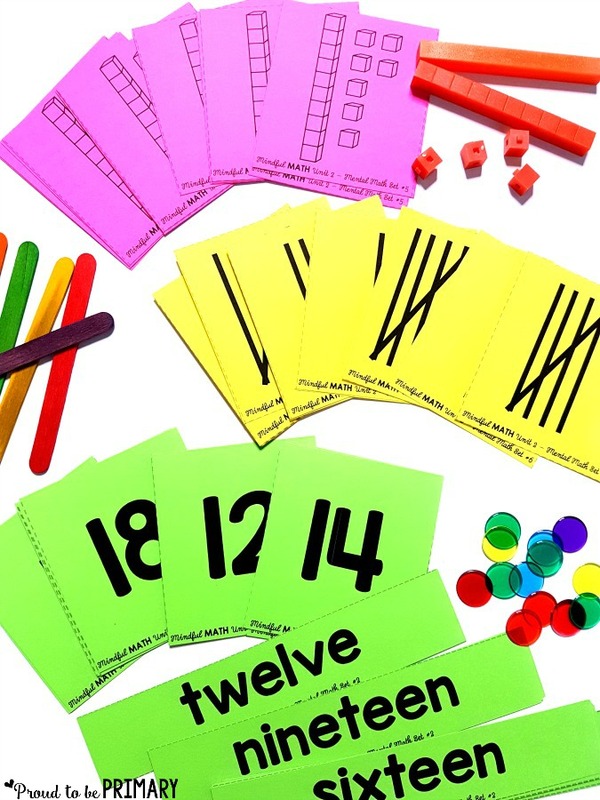 Give students a number and a group of small objects to count on. Ask “How many more do I have?” given 7 to start and a group of 9 counters to count on with. 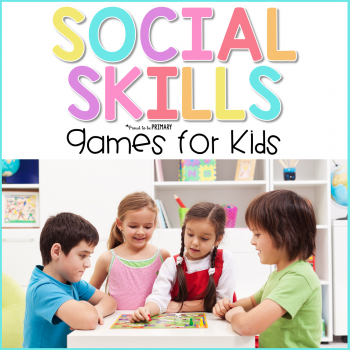 Play games with small objects and decks of cards where counting on is needed. Play a group counting game called ‘Around the World’. Say a number and each person counts on and says the next number as you go around the circle. Use small objects to count on or back from a number given (cubes, counters, dice, etc.). Put numbers in backwards order. Take the ordering activities seem above and reverse them. Provide lots of opportunities for kids to guess how many things they see in their day to day lives. Ask prompting questions to encourage this thinking. Make sure kids know that they are estimating and that these are just guesses. Stress that estimates do not need to be exact but that they should be thoughtful. With more practice, estimations should become closer to the actual number of objects. Fill clear or open containers with different sized objects for kids to guess. Keep them simple and work up in difficulty and size of objects. Smaller objects and bigger containers are usually harder. 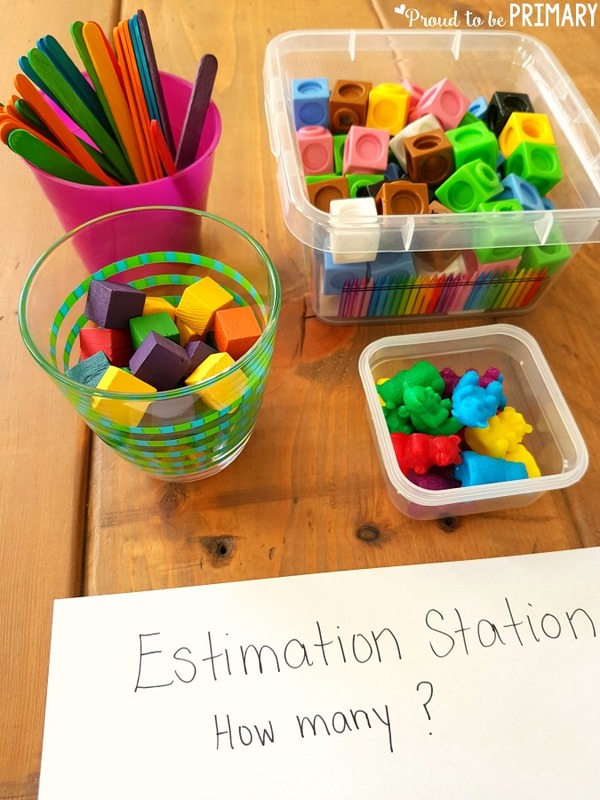 Create an Estimation Station” where containers are set up with objects inside. Kids can take a close look and make estimates. As a whole group activity, grab a pile of objects to show quickly. Cover them and have kids make guesses. Play ‘Show & Hide’ with a partner. Use a cup and put some small counting bears inside. Quickly show a partner and them hide them. They make an estimate and then you count together to check. As familiarity with numbers grow, so does an ability to compare numbers with each other. Provide opportunities to compare numbers daily. Ask questions about which number is bigger, smaller, or the same. Use a chart or number line to compare numbers. Use small objects to make comparing easier. Say “Show 11 and 15 with cubes”. Ask “Which number is smaller?”. Teach the symbols < > and = and what they each mean. Use the alligator strategy (The alligator likes to eat the bigger number) to remember the signs and what they mean. 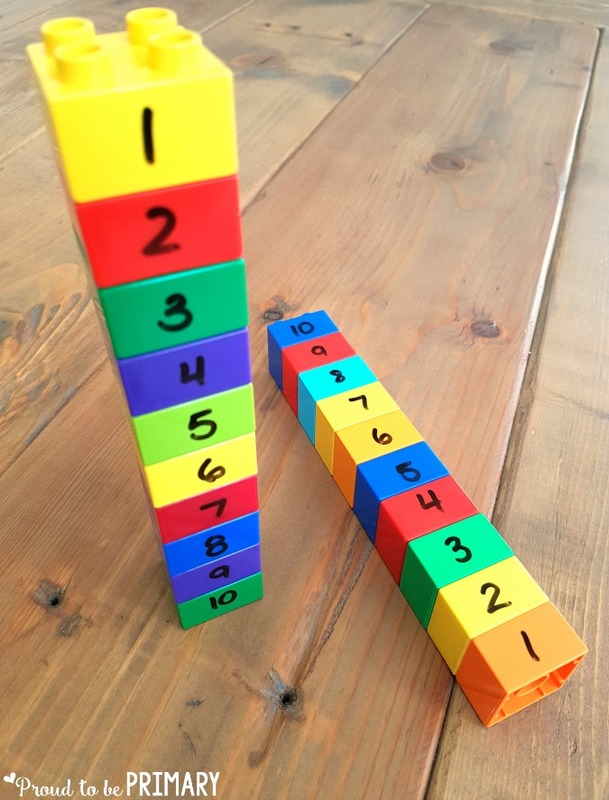 Create number towers. Kids use cubes to form towers to represent numbers. Compare 2 towers to see which is the tallest and therefore the bigger number. 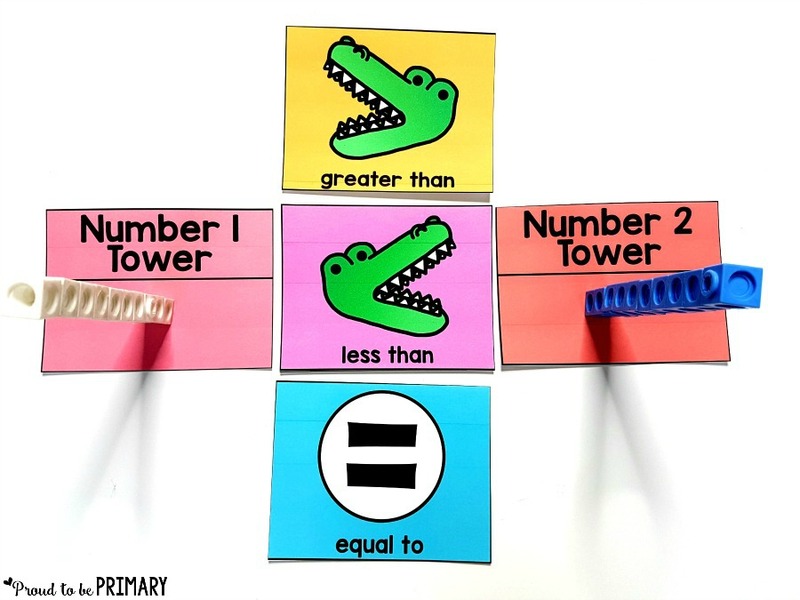 The alligator eats the bigger tower. 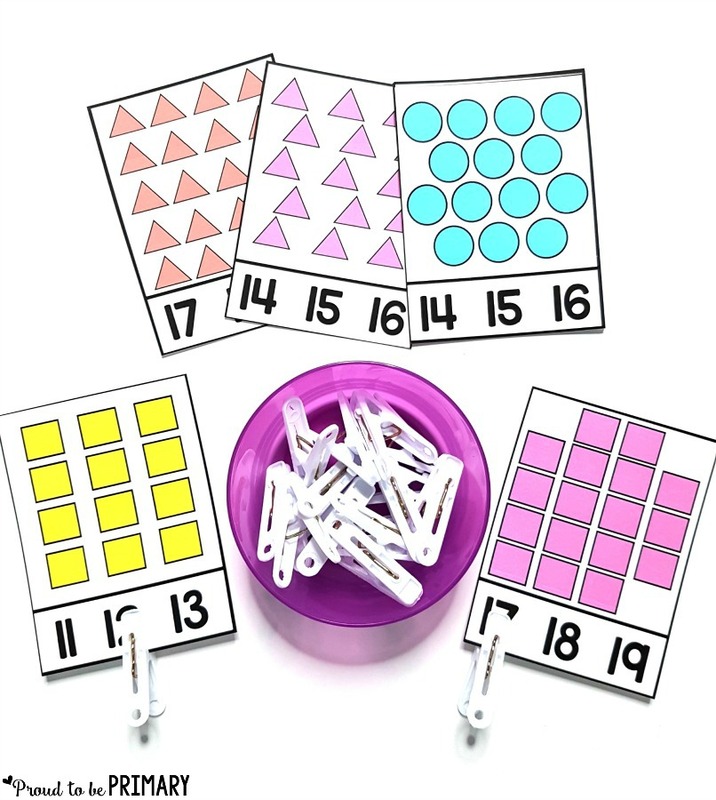 Compare numbers with math tools and indicate the correct symbol on clip cards (seen below). As kids become fluent, they should recognize the correct symbol without support. The activities seen in this post can be found in the following resources found on Teachers Pay Teachers. Grab 20 FREE number puzzles with different representations on each piece by clicking the image below. So amazing!!! Thank you for all the wonderful ideas. I cant wait to try them when we get back to school. Thanks so much, Frances! 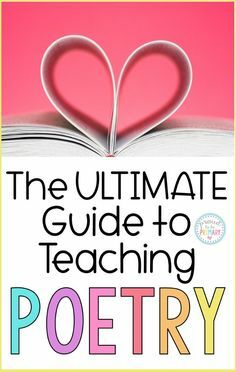 I hope your students love them! 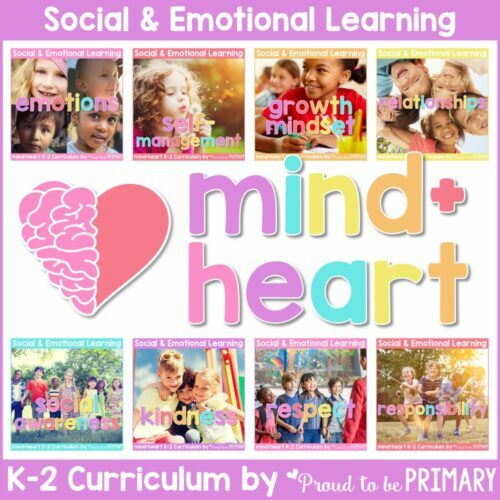 This is an amazing resource! 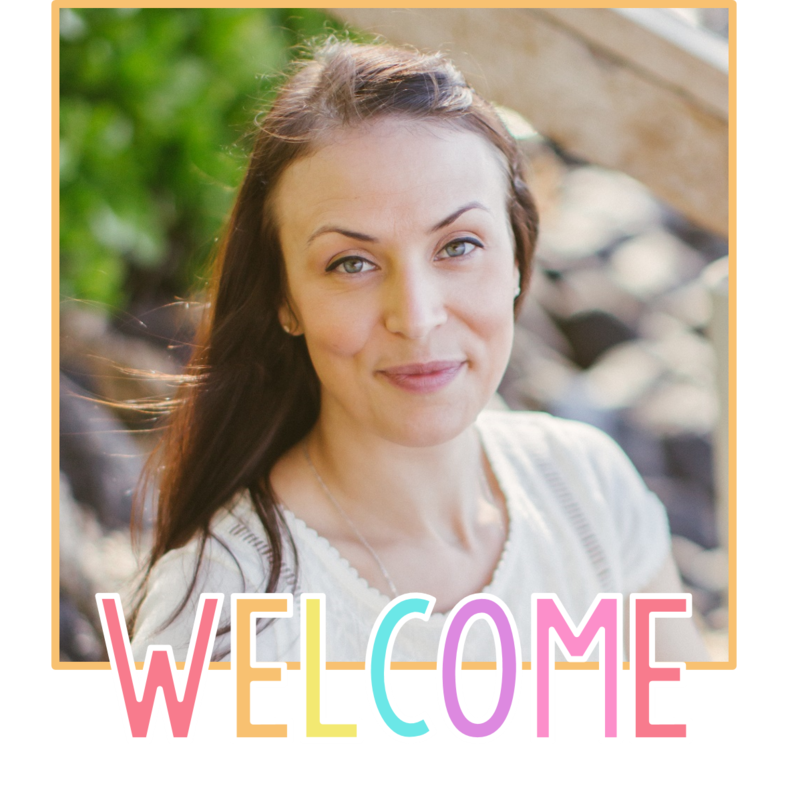 I can’t wait to try some of activities with my students and share your blog with my peers. Thank you for sharing!!!! Thanks Amy! I really appreciate the shares and hope you all love the activities! Thank you for your kind comment! 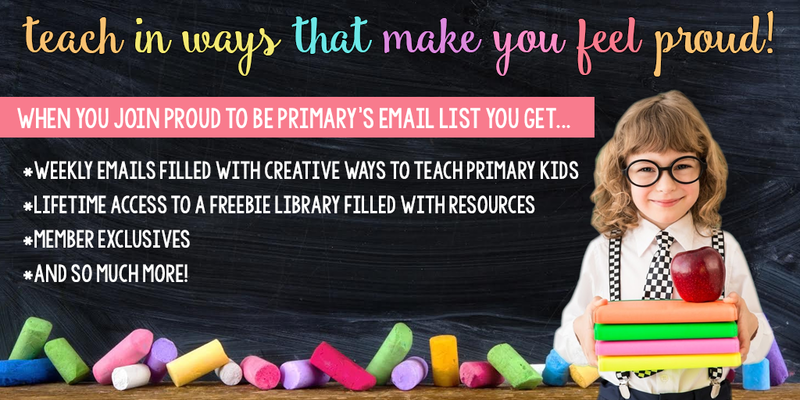 It’s great to have one place to find so many ideas!! 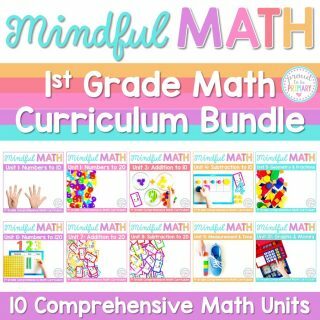 Fantastic resources! Amazing ideas. Can’t wait to implement them in my classroom! My Primary 2s are going to love this! Thank you so much! 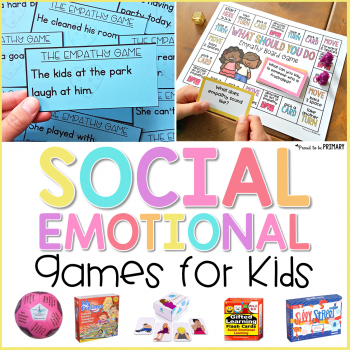 I have two 3 year olds and an 18 month old who I like to do smart games with. I love your ideas an will follow your ideas. Thank you for your valuable input.